Mr. Bo9agr: Water Crisis ?? Says Who ?? 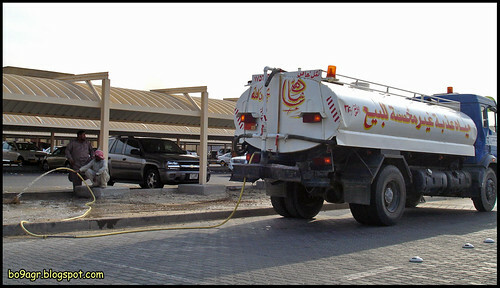 who says we have a power ( water & electricity) crisis in kuwait? i found this guy wasting pure drinking water on the precious soil of kuwait university, i don't know what's he doing but i think it's simply wasting water!